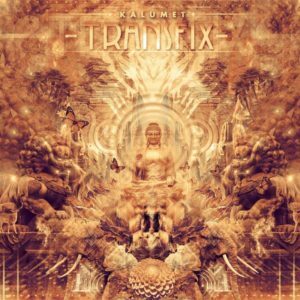 Hungarian psytrance pioneer Kalumet is celebrating 20 years of electronic music production with this gift featuring four of his newest tunes. Transfix is his second release on Sangoma Records after Sheer Liquid Wonderment and includes a remix of an Ocelot track. Here you will find a wide range of heavy, crazy night-time styles but always psychedelic to the core, this time with a pinch of oriental vibes in the mix. One thing is for sure: it’s so hypnotic you will be transfixed! Special thanks to: Aaron Peacock (Ocelot, original producer of track 4) and Kökénylovas (for sitar in track 3 and 4). Mastering by Colin OOOD with artwork by Ashtak Singh (Trilochana). Be sure to also check out this official video for Spiritus Sanctus. MP3 Download | FLAC Download | WAV Download · Download count: 8,179. Sitting at 80% now??? WT? some people must be trolling with ratings. i agree with peter k (cosmo is that you?) trolls.. good album, congrats on 20 years! I love that Twilight Sound! Really good Work! It reminds me of my favorite CD from Ektoplasm “Crownick – New Sapiens”. This one is only rated 84%, too! Another awesome collection from one of the most original psytrance artists! The holy spirit from the Kalumet-pipe…. love it.